In this lesson, we will learn how to solve equations involving rational numbers by finding the solution set of a given linear equation. 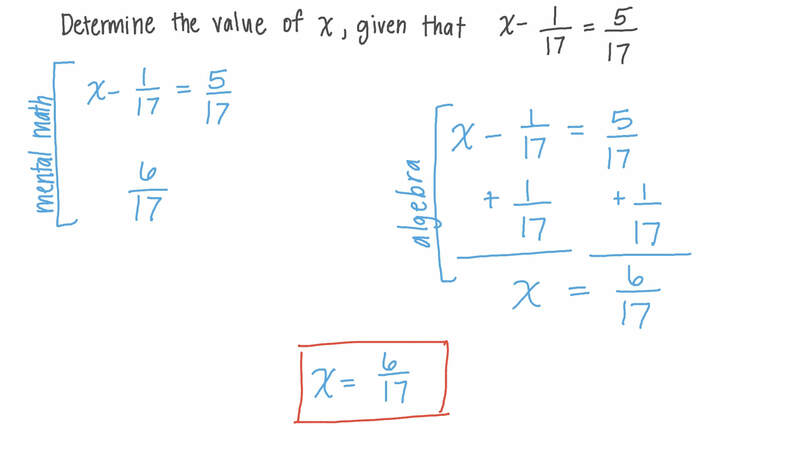 Determine the value of 𝑥 , given that 𝑥 − 1 1 7 = 5 1 7 . If 𝑥 + 1 8 8 = 1 8 4 , then find the value of 𝑥 . Solve − 5 7 𝑥 = 1 7 . 1 5 1 9 ÷ = 1 4 1 9 . 1 6 ÷ 4 ⋯ = 1 2 . If 1 7 the number of eggs in a basket is 4 eggs, then the whole basket has eggs. Which of the following equations is equivalent to 2 3 𝑥 + 1 1 3 = 4 ? 1 4 2 3 × = 1 . 2 4 4 4 ÷ 8 ⋯ = 1 1 2 . A truck traveled 220 miles in 7 1 3 hours. On average, how many miles per hour did it travel? Bassem drove for 5 1 5 hours at 79 miles per hour. About how many miles did he drive? Solve the following equation: 1 . 5 𝑥 = − 4 7 . Two students tried to solve the equation 𝑥 + 1 2 = − 7 8 . The first student added 1 2 to both sides, while the second subtracted 1 2 from both sides. 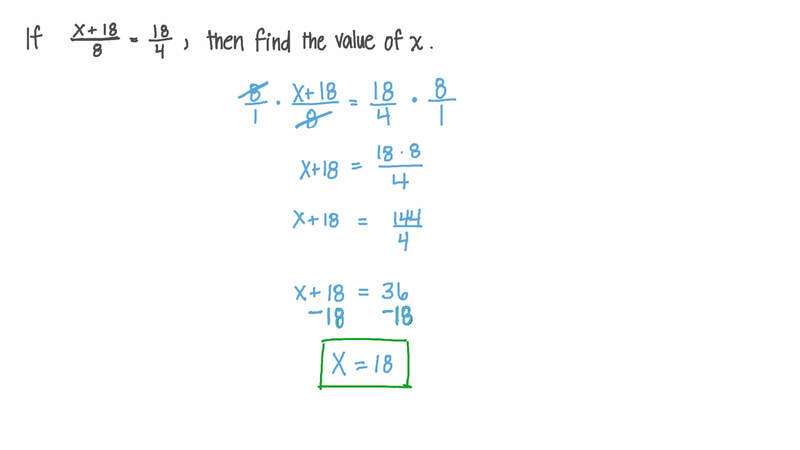 Determine which student was correct, and then solve for the variable. When 4 𝑥 − 1 3 is added to 𝑥 + 2 3 , the answer is 0. What is the value of 𝑥 ? Solve 2 𝑧 + 1 2 = 5 for 𝑧 .
Sally rode the bus to work today. She travelled miles and, due to bad traffic, it took of an hour. Solve the equation to find the average speed of the bus. Which of the following equations is equivalent to 8 9 𝑥 + 2 5 = 1 3 1 5 ?